Are you a business owner or a fresh new entrepreneur from Oakville, Ontario? We are sure you are looking to get more exposure for your business online and that’s why VOOFA is offering affordable SEO services that will organically grow your business by getting your absolutely FREE web visitors traffic. The technique is known as organic search engine optimization, where we insert high quality meta tags, keywords and phrases, locations and rich snippets to your existing or new website to help you get higher ranking on Google and Bing search engines. If you have an existing website, you must optimize your website structure and content. We can fix your website for search engines and this process include optimizing the text, images, tags, web structure, layout, DNS settings, database, files and folders, hosting, domain, server settings, Google webmaster verification, Google Console, Bing verification, Search Engine submissions, and Google Analytics setup. Once we fix your website as mentioned in step 1, our next goal is continuously boost your ranking by doing monthly search engine optimization. This process is very important to keep crawling your website up in the indexing by doing proper blogging, website maintenance and keyword optimization. Since we understand the online market for various niche, business and professions, we know what exactly needs to be done in order for your site to gain higher Google rank in Oakville, Ontario. We offer monthly SEO plans that you can opt in to get this service. If you want to track your website visitors, you may want to setup your Google Analytics account. VOOFA will install the analytics system on your website and you can easily learn about your customers. This great app helps you track the origin of your sales leads, the way they have navigated your website and how much time they spent on what page. This kind of data can be very useful in further enhancing your business growth. You can optin to get our Google Analytics services in Oakville, Ontario. 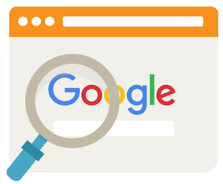 In the recent Google algorithm updates, it has been made very clear that every website that want to achieve higher ranking on the search engine is required to be verified by Google. You may have heard about businesses getting verified by Google all the time. This is the same process where we make sure that your website is well recognized by Google and for that we submit your web pages, content and hosting information to Google. Opt in today for Google site verification and registration.